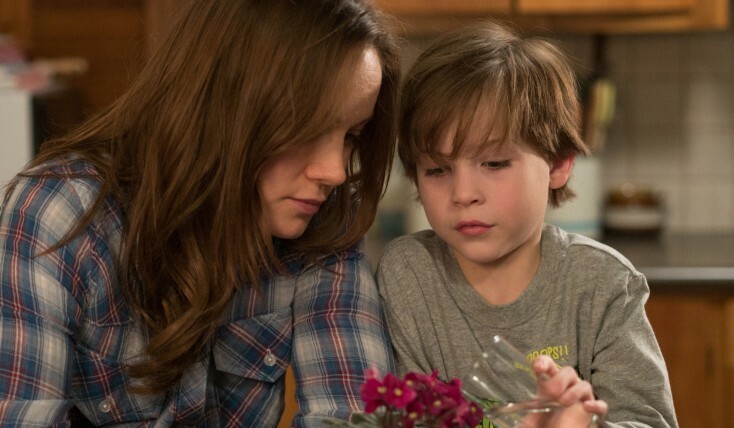 Brie Larson and Jacob Tremblay star in ROOM. ©A24 Films. CR: George Kraychyk. In “Room,” Larson delivers a solid dramatic performance as a young woman who lives in a single, dingy room with her young son, Jack. The duo’s only view of the outside world is through a skylight and a small television. As Ma, she tries to be the best mother she can to the boy and, as the story unfolds, audiences discover the unsettling reason why these two are confined to such a small space. Directed by Lenny Abrahamson (“Frank”), “Room” is based on the book by Irish author Emma Donoghue, who adapted it for the screen.The film also stars Oscar nominees Joan Allen and William H. Macy. A native of Sacramento, Larson has been a working actress for well over a decade. She began her career doing guest spots on TV shows including “Touched by an Angel” and “Popular.” She also played one of Bob Saget’s daughters on “Raising Dad.” At 26, it’s now her turn to play the parent who must do her best to protect her child in a frightening situation. The blond actress recently spoke about taking on the role, her immersive preparation and working opposite an eight-year-old actor (Canadian Jacob Tremblay) for much of the film. Q: Had you read the book before signing on to the film? Q: What appealed to you about the script? Did you have to think about a lot before signing on? Larson: The thing I was so drawn to by the book and what was captured in the screenplay was the myth that was there. This wasn’t just a crime tale; it was Plato’s Cave. It was Rapunzel. This was Bluebeard, Demeter and Persephone. It was all of these reference points that I loved so much that were woven into this story in such an innocent and delicate way. Sometimes you pick up on the myth and it’s just an accident. I think it comes out naturally from some people. And some people are aware of it. I was lucky when I sat down with Lenny (Abrahamson) that he understood it in the same way that I was interested in exploring the same aspect of the story. The idea of taking a story that we had seen in the news but taking it and reminding us of our roots, of where we came from and really making this a universal love story, and a universal story about growing up, and the pains that go with it. It’s about the beauty of living in a small space as a child. There are some aspects that are so beautiful and so nice not to see the darkness but then, in many ways, there is a whole range of experiences that are being missed because of it. After we had our long discussion about mythology and shared pictures of our dogs, and all those things you do when you’re starting a good working relationship, he asked a small group of women to come in and read for Ma. It was a lovely time for both of us to see if this could have a proper working relationship and really capture what Ma was. Even though it was just an audition and not as in-depth as when you’re making the movie. And about a week later I got the call that I got the job. Q: How did you prepare for the role? Larson: Over the course of the seven months I spent prepping and filling my brain with everything that was her. I was really changing the neurological patterns of my brain so that all of this stuff was accessible to me. By the time we hit set and were shooting, I wouldn’t have to think, “Oh, my wrist hurts and there’s all this dark past that’s happened to me and I have lack of vitamin D and I have to remember that someone’s going to be at the door.” It becomes so ingrained in me that I just knew it. I had little tricks to separate me from Ma. For example, I like this type of wood called palo santo that smells so nice. I burn it in my house all the time. So when I’d come home, I felt like I’m there. It’s me. I even took a piece of paper and wrote down my name and then “Ma” at the top, and I’d list all of the things that were me and those that were Ma so I could very clearly call back on it. Some of those moments, like when you’re at lunch, and I feel like no one understands me, I’d go, “No, that’s Ma. Not me.” I know that because (my cast and director) understand me, and I have very many other memories in my life that I can go back to. So I found that, personally, learning more about the brain helped me a lot because then it didn’t seem like I was going down some dark path. It was just my brain trying to be really helpful. It’s like, “Oh, you want to access the pain of sexual abuse? We’ll put it there right in front.” And then later I could just move that somewhere else (in my memory) where I don’t have the key. Q: How was it working solely with a very young actor for much of the film? Q: So much of Ma is defined by her relationship with her son Jack. How did you go about creating that? Larson: There are a couple of layers to her. There is Ma who is joy. From being born to age 17, Lenny and I ended up spending a lot of time trying to figure out who she was. I ended up writing three journals as her. One from when she was 10. One from when she was 14. And another when she was 16 or 17, just to try and get back into that older mindset, to remember what her hopes and goals and dreams were at that time. Then there’s the two years of isolation before Jack comes along so I stayed at home for a month and just sat with myself and saw what would come up. I imagined there was a lot of time that she spent reflecting and magnifying and to forgive and to create a fantasy as to what that past was, and in some way to glorify some aspects of her and life and in other ways feel remorseful and frustration for not being able to go back to it. Q: What did your month-long seclusion entail? Larson: Really how it started was in trying to understand those two years of basic silence, of being alone in this space. I meditate so I was a little familiar with trying to get to mental silence, and how hard that is. I’ve had some friends who have gone on silent retreats and I was fascinated by their actions. Some of them could go for 10 days and they’d do it every year. You’re not allowed to speak or look at anybody. And they loved it. But I have other friends who couldn’t last (in silence) for 24 hours. They panicked and left. There is this sense of sitting with yourself. I imagined Ma at 17 or 18 sitting with herself in the way most teenagers don’t. That’s a time when it’s all fleeing. It’s about wanting to move out and pushing away parents. I felt this period time to be a maturing experience but in a horrible setting. She has to come to terms with who she is now and this new individual she’s become. She’s completely separate from her friends, her home, her parents. It’s the time right before she has a child, which then becomes her next identity, which is being a mother. So, for me, it was just seeing what that mental chatter felt like and if it was something to feel the painful moments of it, the eureka moments, the moments I remembered from my childhood that beautiful, and those that were more painful. So having that period to reflect allowed me to get to know (Ma) better. But it wasn’t painful. I’m a homebody so I found it kind of fun, to be honest. I didn’t mind it. 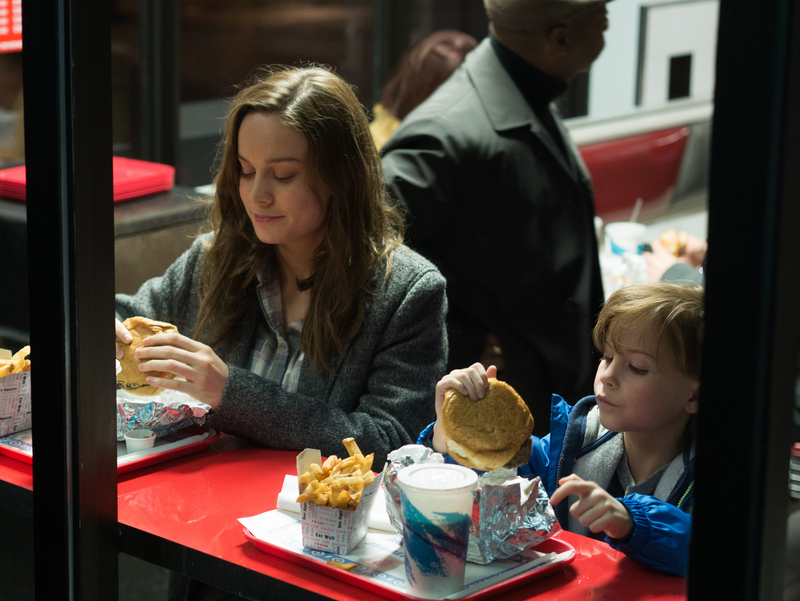 Q: Unlike most feature films, “Room” filmed in sequence? Did that help you? Larson: I can’t imagine (not shooting it in sequence) because that was such a vital aspect of it. You could feel everything that was happening in Room, especially because we had a crew of six, it was such a small space that every day we shot in the room, you could feel more and more agitation with the crew, and with all of us in this small space and this push to get out. By the time it hit to do this escape sequence, there was this feeling of, “Brie, get us out of here. Get us home.” The crew couldn’t wait to get out of Room. People would be like, “You must be excited to get out of Room because it’s going to get so much easier for you.” I remember thinking, “No, that’s not how it’s going to go.” And, of course it wasn’t. It wasn’t easy for the crew, either.